Andrea Faustini is an Italian singer, best known for his role as contestant in The X Factor (2014). He was one of the most remarkable singers in the competition. His songs and performances won million hearts and made him an overnight success. His voice could melt hearts, and this is one reason which made him the favorite of some judges. He is none other than Andrea Faustini, and there is no X-factor viewer who does not recognize him. Faustini performed Michael Jackson’s Earth Song for the first live show, and quickly became the bookies' favourite to win the show. He was in the bottom two in week 7 with Stevi Ritchie and was saved by Mel B, Fernandez-Versini and Walsh and only Cowell voted to eliminate Faustini. However voting statistics revealed that Ritchie received more votes than Faustini meaning if Walsh sent the vote to deadlock, Ritchie would've been sent through to the quarter-final and Faustini would've been eliminated. Faustini was once again in the Final Showdown in the semi-final with Lauren Pratt, but was saved again with only Fernandez-Versini voting to eliminate Faustini. However voting statistics revealed that Platt received more votes than Faustini meaning if there wasn't a Final Showdown and if Walsh or Cowell voted to send Platt through to the final or if the result went to deadlock, Platt would've been sent through to the final and Faustini would've been eliminated. 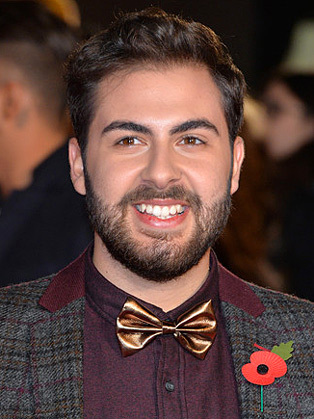 Faustini ended up finishing third, behind runner-up Fleur East and winner Ben Haenow.